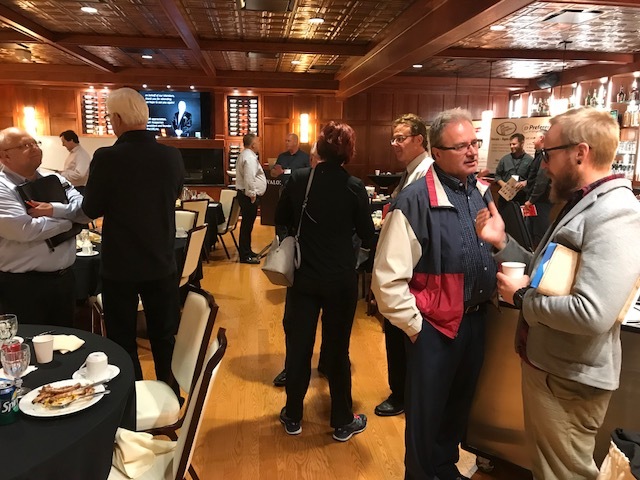 join us the 3rd Wednesday each month for lunch in the Roosevelt and take part in an unscripted, candid conversation with your colleagues and peers. 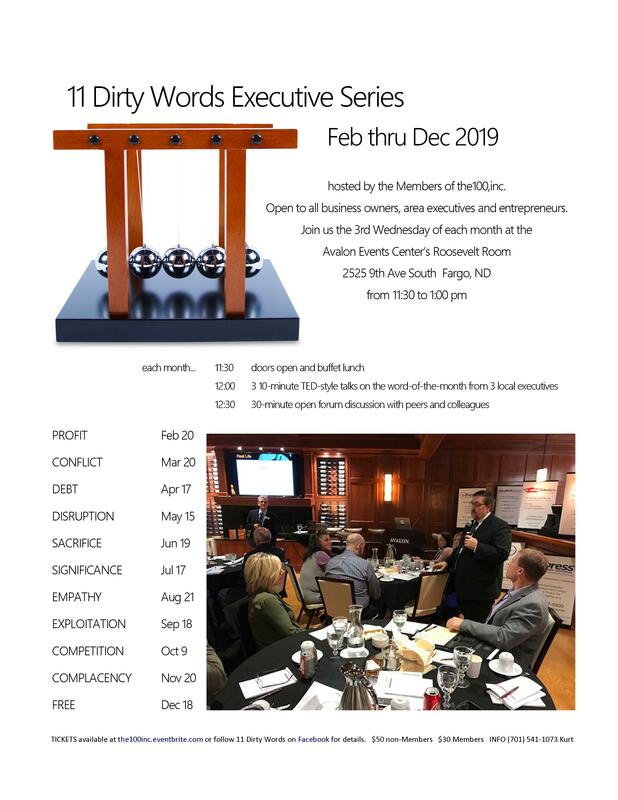 The 11 Dirty Words Executive Series delivers an informal, fast-paced conversation focused on 1 “dirty word” each month. 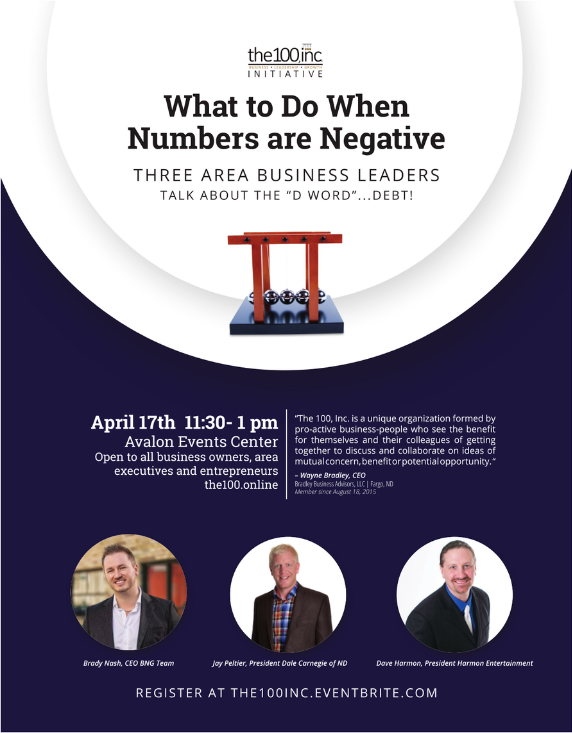 It is intended solely for small business owners and key personnel, executives and serial entrepreneurs. 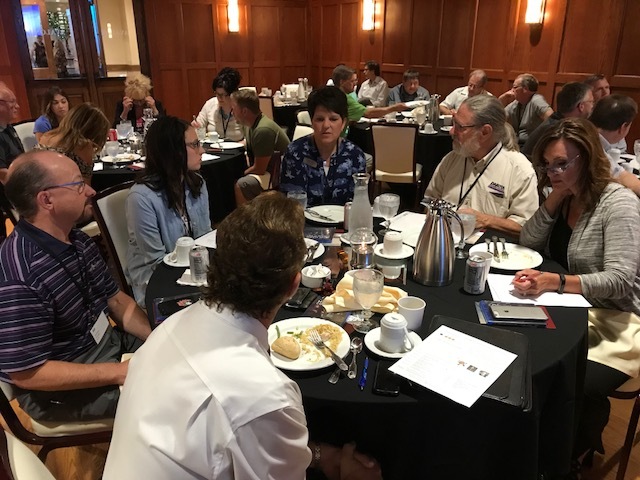 There are no sales-pitches or products for sale at these events…just lunch and conversation with FM-area peers and colleagues. COST: $50 individual (includes buffet lunch) $30 Members of the100,inc. 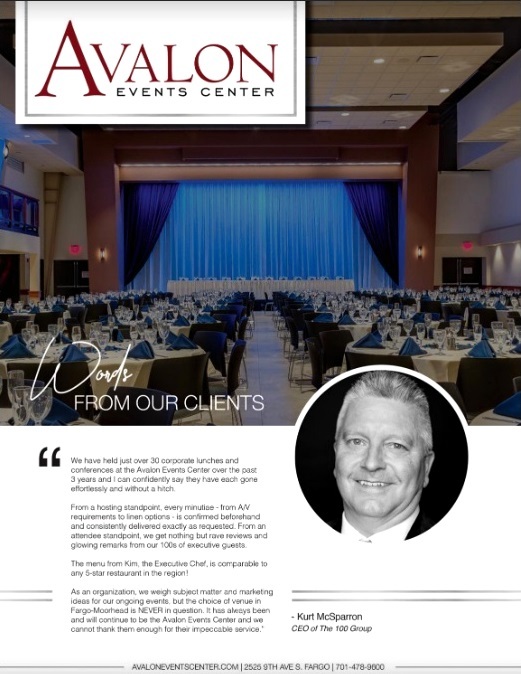 “We have held just over 30 corporate lunches and conferences at the Avalon Events Center over the past 3 years and I can confidently say they have each gone effortlessly and without a hitch. From a hosting standpoint, every minutiae – from A/V requirements to linen options – is confirmed beforehand and consistently delivered exactly as requested. 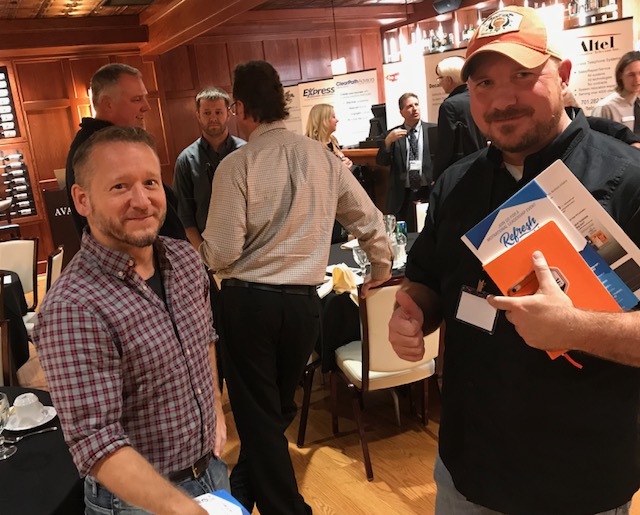 From an attendee standpoint, we go nothing bu rave reviews and glowing remarks from our 100s of executive guests. The menu from Kim, the executive chef, is comparable to any 5-star restaurant in the region!